With the busy season approaching at my job, I needed a break and decided to travel to an icon of early American history, Cumberland Gap, on the Kentucky, Tennessee and Virginia borders. 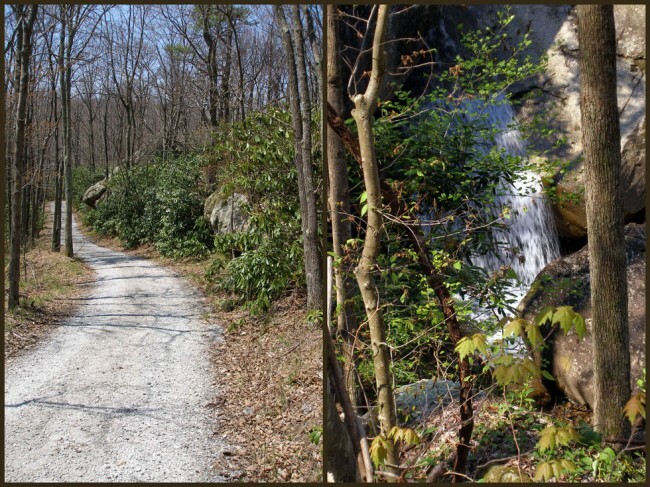 This 20,500 acre jewel in the Appalachian Mountains offers the visitor a wonderful array of outdoor experiences. I enjoyed some awesome day-hikes, took an outstanding wildflower walk, and for the grand finale, decided to backpack to the Martin’s Fork Cabin. 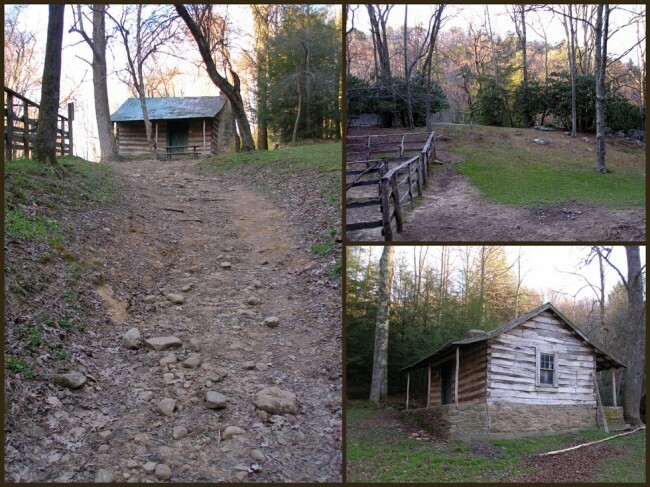 Research indicated that this would be about a six-mile, one-way hike up a mountain, through an historic farmstead called The Hensley Settlement and then a short jaunt over to the cabin. None of this sounded too bad. My bubble was burst fairly quickly when I found myself trudging up a steep and steady gravel road, which any hiker knows is not the best surface for hiking. With the grade, it was like taking one step up and a half step backwards. The scenery along the way made up for the difficulty. The roadway was lined with mountain laurel, rhododendron, cedar and pine trees and tons of wildflowers, well worth the effort. There were two very nice waterfalls on the early leg of the hike, making for perfect places to take a break and enjoy the surroundings. After several hours of chugging up the hill, I finally arrived at the Hensley Settlement, grateful that most of the uphill climb was over. I stopped for a while, exchanged hiking war stories with another hiker who had day-hiked in from the opposite direction (a very impressive feat considering he had to go back the same way). After letting my burning feet cool down, I grabbed my pack and headed out. The final stretch of trail to the cabin was fairly accommodating, with only some minor horse damage to the walking surface. I hiked down to the cabin, only to find the area swamped with horse people. Luckily for me, it was getting late and they left shortly, leaving me alone to enjoy the quiet of the mountain. I had finally arrived at my Fortress of Solitude. Upon unlocking the door I entered a dark, smoky and fairly dismal room. 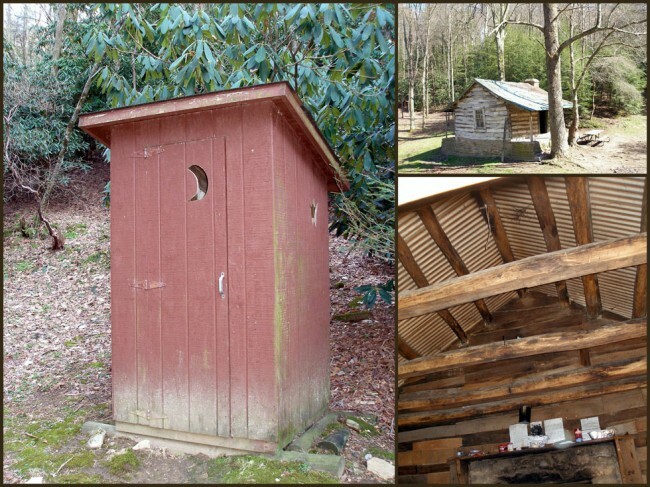 I had always imagined a cabin in the woods as being somehow warm and inviting, WRONG! The room entertained two doors, both equipped with steel bars to keep the bears out, and a single, dirty window that allowed a hint of sunlight in. After cooking and consuming a completely horrible dehydrated meal (not nearly worth what it had cost), I settled in for some much-needed sleep on one of the three plywood bunk beds. Shortly after dozing off I started hearing noises at the fireplace. I turned on my flashlight to find the floor covered with mice, scurrying to and fro. They shot back up the chimney, only to return a few minutes later. This Animal Planet experience went on throughout the night, light on-mice out, light off-mice return. I’d like to take this opportunity to thank the Boy Scout troop who had stayed there for the two previous nights for this, as they had left considerable food scraps in and around the fireplace. All animals will take advantage of an easy food source. I was also somewhat distracted by reports of a black bear that had been in the area and been “misbehaving”, not what you want to hear when camping. In closing, this was one of the most miserable nights I’ve ever spent in the wilderness. I’ve come to the conclusion that the early pioneers who lived in these primitive conditions were of heartier stock than I am. I admit it, this wasn’t what I expected. 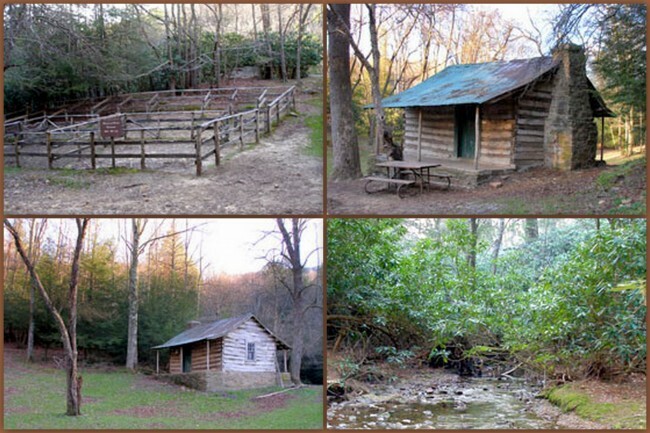 Even so, for someone who’s looking for a VERY REAL pioneer experience, the Martin Fork Cabin will certainly accommodate. Lastly, to be fair, the Park Service represented the cabin 100% accurately. My unexpectedly unpleasant experience was based on my assumptions, not their description. 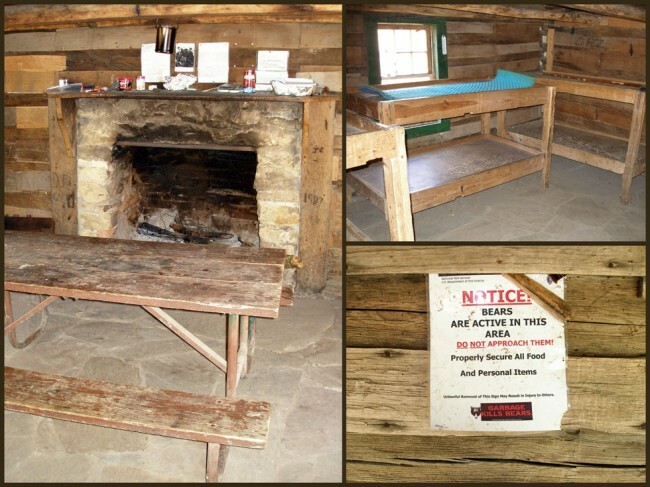 If you decide to stay at Martin Fork, do yourself a favor and do it at a time when you can ride up to the Hensley Settlement in the van they use for taking visitors up for a tour. This excursion would have been a lot more fun without the gravel hike.